I am sooo excited to have Chelle Ramsey returning to my blog!!! 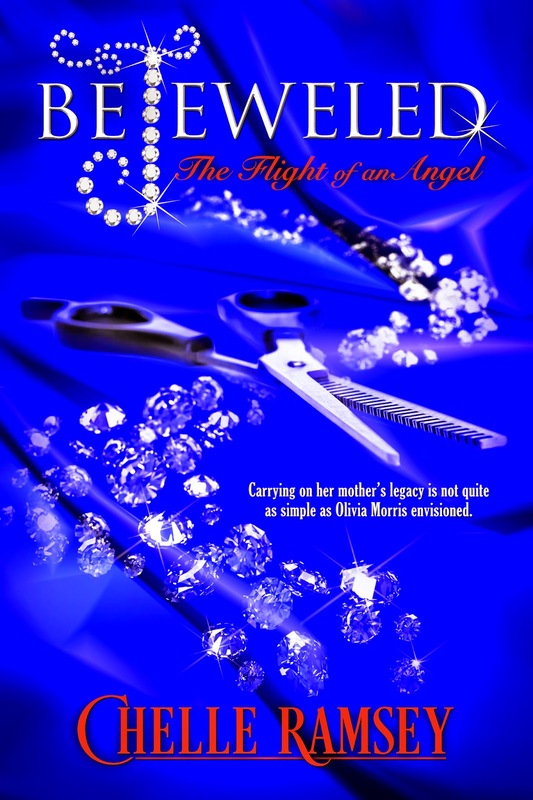 Today we are spotlighting her latest book, BeJeweled: The Flight of an Angel. I haven't read this one yet, but if it is anything like her last book, Is the Grass Really Greener? I know it's going to be awesome! She is sharing an excerpt with us today so let's get started! She smiled as she danced in his arms enjoying the feel of his soft cool lips against her warm ones. As Olivia continued to sway in his arms she slightly parted her lips, allowing his tongue to enter her mouth. The warm rush flowing through her veins, and the slightly heady sense she experienced at the feel of his hands rubbing her back up and down was intoxicating. means I have to be celibate, too, then I support you. I just want you in my life, Ivy.’ Was that not what you told me, word for word?” Olivia asked with her keys in her hands and her purse clenched tightly underneath her arm. “So you’re backing out now?” Olivia could feel her heart sinking and her dreams walking out the door. But she knew he hadn’t made her any promises and she could understand if he chose not to stay around in that capacity in her life. She respected whatever decision he made. BeJeweled: The Flight of an Angel is available in both ebook and paperback on Amazon. 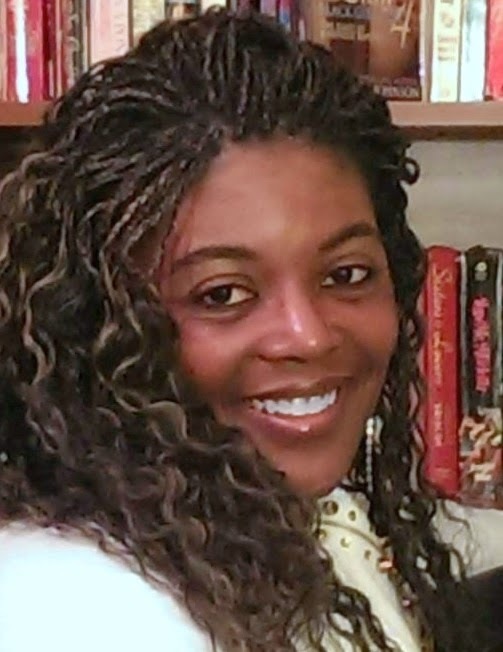 An avid reader since her primary years, Chelle Ramsey saw books as an escape mechanism. Excited by the worlds, and characters that could be created with a touch of the imagination, she began writing her own stories at the age of 12. The more enamored with storytelling she became, the more she wanted to create stories about the suffering, and hardships she saw others enduring, with one twist…her characters would rise above their adversities and limitations, but not always with traditional endings. This busy wife, and mother of three, exchanged her Girl Scout Leader pins for her creative writing pen, as she began to focus on publishing her novels. In her spare time, when she isn’t writing, she enjoys reading mystery novels, watching the NBA, remodeling their home with her husband, and spending time with him and their children. Having an MBA in Human Resource Management, she says she cannot wait for the day when writing becomes her full-time career. “If I can show my readers they are not alone, in dealing with their challenges, and that they can rise above their limitations, I have achieved my goal,” Ramsey says.